FRIDAY FEATURE! ST. LUKE’S URGENT CARE! With flu season here, quality medical services are a must! When you need to quickly see a healthcare professional, give St. Lukes Urgent Care Gravois Bluffs Fenton a visit! 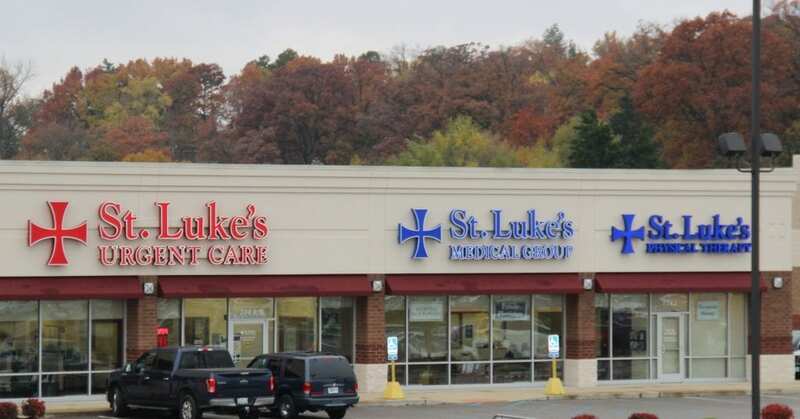 Located in Fenton, at 774 Gravois Bluffs Boulevard, St. Luke’s provides walk-in diagnosis and treatment for minor medical emergencies, including flu-like symptoms, cuts, sprains, broken bones, rashes and other minor illnesses and injuries. No appointment necessary! Previous Post NOW OPEN AT GRAVOIS BLUFFS PLAZA! Next Post BEST PRACTICES FOR EFFECTIVE EMAIL CAMPAIGNS!